Product prices and availability are accurate as of 2019-04-17 13:51:49 UTC and are subject to change. Any price and availability information displayed on http://www.amazon.com/ at the time of purchase will apply to the purchase of this product. 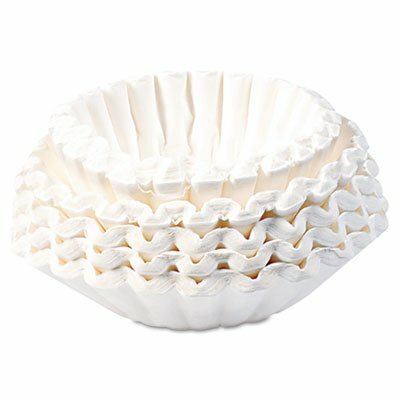 Basket-style coffee filters for commercial coffee brewers. High-quality, heavyweight paper. Taller, stronger sides to help avoid overflow of grounds. Paper stock produced using an elemental chlorine-free (ECF) bleaching method.